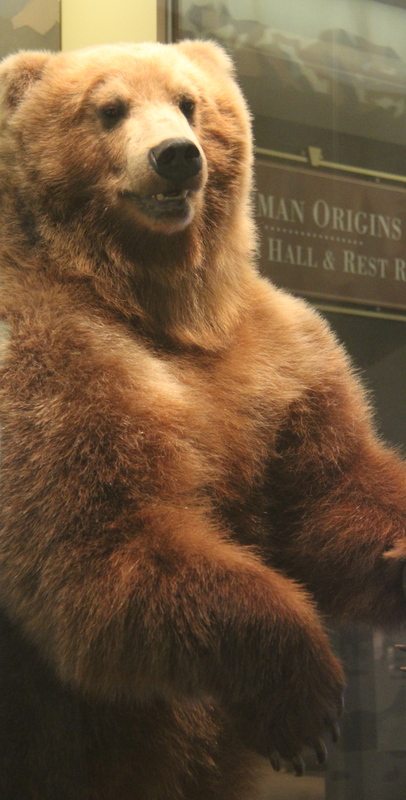 Photographed at Smithsonian National Museum of Natural History. We all have to support each other and try harder to be empathic. It is not always easy to do, and this is especially true when we perceive an attack on our children. The grizzly bear or lioness comes out for me then. I usually just avoid posting when this happens, because I know I will say something I will regret later otherwise. Does this mean I always do the right thing? I only wish this were true. I too have been guilty of saying the wrong thing, as I think most people have. I just hope anyone I have ever offended in any way has it in their hearts to forgive me. It certainly brings home the issue of children bullying others over the Internet. That is why it is so important that we as parents teach our children that the Internet is forever. They need to understand that it can’t just be torn up or erased. It is the job of parents and educators to teach this to our children. My son’s school has a wonderful class that they teach to the sixth graders called Technology. It is not a quick one time class. Rather, the class meets daily all year. They learn how to safely navigate the Internet, applicable laws that apply to information on the Internet, as well as, how wrong it is to cyber bully someone. They are learning that they are held accountable for their actions on the Internet. I think it would be great if every school did this, although given the precociousness of today’s kids, it might need to be done at an earlier age. Maybe we all need a class like this too! To Err Is Human_To Forgive Divine. I realized after the initial post that I had entered the link to the Puzzle Piece Princess site incorrectly. This has been corrected. I also wanted to share a Web site that lists state laws regarding electronic harassment:http://www.ncsl.org/default.aspx?tabid=13495 I think we all need to realize how serious this is.